Whether it's palm-lined beaches, wildlife adventures, or a city experience you're looking for, there is an Island in Indonesia suited for everyone. 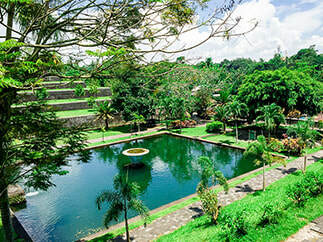 Discover the islands of Bali, Lombok and Java. 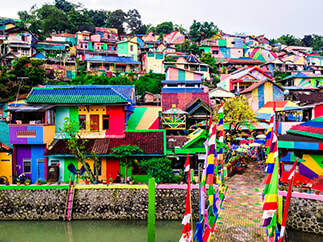 Colourful Kampung Pelangi (The Rainbow Village) Photo Diary, Semarang, Java - One year ago Kampung Pelangi was run down and a borderline slum, after $22,000 and a whole lot of paint, the location is now an Instagrammers paradise. My Experience with Methanol Poisoning - Methanol poisoning PSA after drinking in a restaurant and bar along Jl. 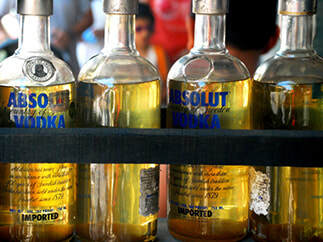 Raya Legian (Legian Street) in Kuta and tips to avoid the situation if you want to have a boozy bender in Bali. 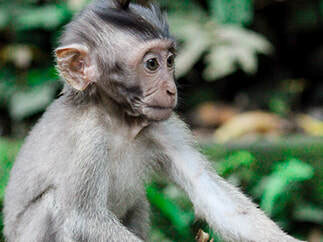 Ubud Sacred Monkey Forest Sanctuary Photo Diary - Information including background info, feeding time, mother, infant and older macaques, temples, monkey thieves and tips to avoid bites or attack. 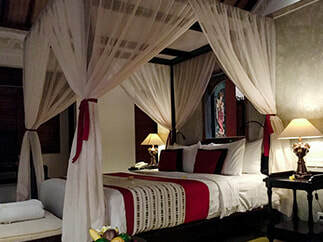 Dwaraka, The Royal Villas - Developed in 2015 by a member of the Balinese Royal Family, Dwaraka, the Royal Villas, is a gorgeous boutique hotel consisting of 10 private villas, located 2 km north of central Ubud. A review of the Govardana Villa and guest services. - A slice of paradise. 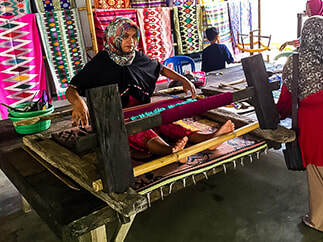 Sukarara Weaving Village - A traditional weaving village located 22 kilometres southeast from central Mataram on the island of Lombok in Indonesia. ​The village is home to the Sasak people and is known for the manufacture of clothing and homewares such as sarongs, shawls, tablecloths etc. Taman Narmada (Narmada Park), Mataram, Lombok - Positioned 10 kilometres east of the centre of Mataram, Taman Narmada (Narmada Park) is one of Lombok's top tourist attractions and features Pura Kesala, tiered gardens and a holy spring, believed to bring eternal youth to those who are devout to Lord Shiva.